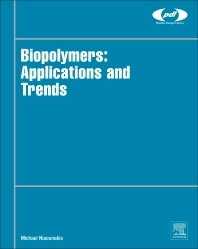 Biopolymers: Applications and Trends provides an up-to-date summary of the varying market applications of biopolymers characterized by biodegradability and sustainability. It includes tables with the commercial names and properties of each biopolymer family, along with biopolymers for each marketing segment, not only presenting all the major market players, but also highlighting trends and new developments in products. The book includes a thorough breakdown of the vast range of application areas, including medical and pharmaceutical, packaging, construction, automotive, and many more, giving engineers critical materials information in an area which has traditionally been more limited than conventional polymers. In addition, the book uses recent patent information to convey the latest applications and techniques in the area, thus further illustrating the rapid pace of development and need for intellectual property for companies working on new and innovative products. Product development engineers in the field of plastics, particular in processing and production of biopolymers. Design engineers involved in creating new products and substituting biopolymers into existing products, particularly in packaging, automotive, medical sectors. Biopolymer researchers seeking to learn more about processes and applications.